When someone mentions Nantucket do you think of a beautiful island inhabited by rich kids in the summer named Max & Chad wearing pink pants with whales, rocking popped collars and fighting over who gets to break out the black card first? 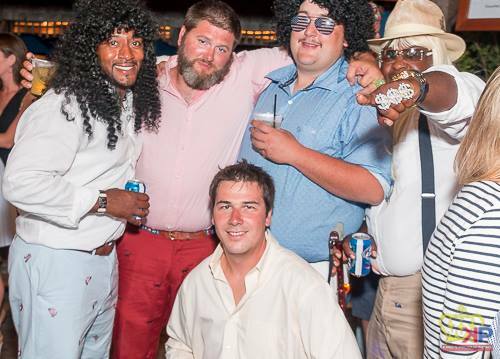 Not going to lie, there is a lot of that there, but there’s also Nantucket locals, who are for the most part down-to-earth, blue collar people. They wear normal clothes, work jobs like the rest of us and like to have a fun time. …..Well they wear normal clothes, until it’s time for Fancy Pants. 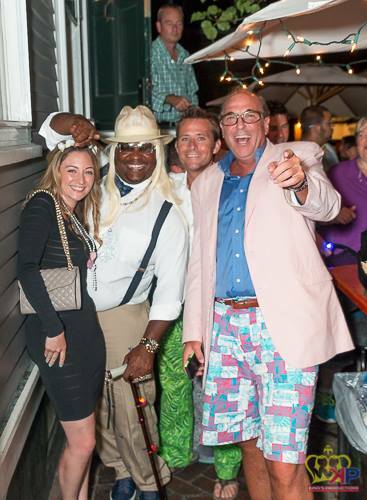 This Saturday is the 5th Annual Fancy Pants, a bar crawl where Nantucket locals (plus one annoying summer kid) dress up like summer people, have a fancy dinner and then do a bar crawl at all the fancy rich-people bars. It’s pure nonsense fun and tons of laughs. 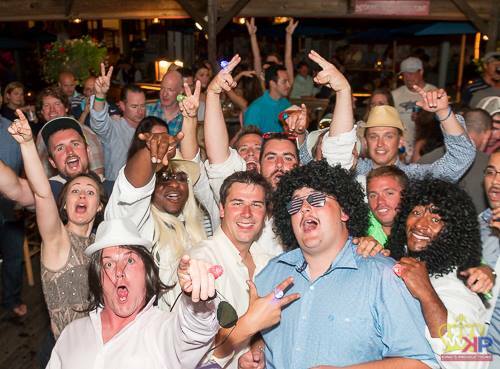 Fancy pants came about in 2012 when they were having a nice dinner in honor of Joe Friday (pictured to the left above in the Rick James hair) and everyone was supposed to dress up in nice clothes. 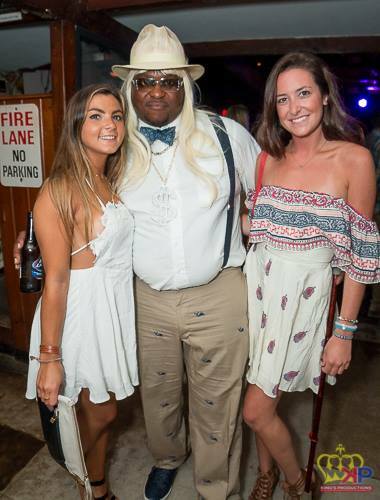 Ardis (pictured below), however, came dressed up like a stone cold pimp in whale pants and the night evolved into a bar crawl. The next year everyone had “Fancy Pants” and thus the annual event was born. Everyone involved has a good sense of humor and it’s hilarious when people in their normal clothes get in on the night. So if you see a group of slyly dressed cats taking it to limit on Saturday night, not playing by the rules, stealing the show….it may be Fancy Pants..or just Max & Chad enjoying a Saturday night. Great tradition the guys started got the privilege to be a part of one of the years they did it.